The value of a social share varies as time goes on, yet there is always a push to increase your social reach. Who couldn’t use a little boost in their social media promotions? That is why June’s tool of the month is CoPromote. No matter what industry you categorize yourself in, you will always desire to have more likes, fans, and followers. Content you create can perform rather disappointingly on Facebook and Twitter. Maybe if you had more followers, or just one retweet from that industry figure you admire, you would greatly improve your website’s traffic. Thankfully, tools like CoPromote strive to improve your social media performance. CoPromote is the social media site for social media promotion. What? Users are able to post their content onto the site to allow others to share. The premise is as follows: The more you share others’ content, the more you will be able to promote your own (or you can pay for more promotion). This free promotion sounds incredible for users who just haven’t quite gotten their name out there, allowing another channel for individuals to find and promote good content. An easy to use interface backed by a well designed website encourages simple, yet effective, content promotion. Like I said before, the entire system relies on the sharing of content to generate credits to use for promoting your own content. You start out with what they call $25,000 of Karma Cash. Initially, you can earn more Karma Cash by connecting your Twitter and other social accounts to the app. With this Karma Cash they claim each post is capable of receiving up to 26 times more social reach by building your network with new people. For each new fan reached through your promotions, you are charged $1 in Karma Cash – so starting out with $25,000 should allow you to hit the ground running. If the person promoting your tweet has 1,000 followers, then that means you have “reached” 1,000 new people costing $1,000 Karma Cash. Content categorizing is key as you promote your content in only related groups. You most likely only desire to share content in similar categories as well. The categories you choose will shape your feed of promotion requests, allowing you to share only relevant content. While you can earn more Karma Cash by promoting other’s requests, there are additional pricing options that allow you to further your social reach. The biggest limitation to using a free account is the fact that you can only run one promotion at a time. Promotions last anywhere from 3 days to 30 days, prohibiting you from promoting more than one thing at a time, which severely limits your capabilities. 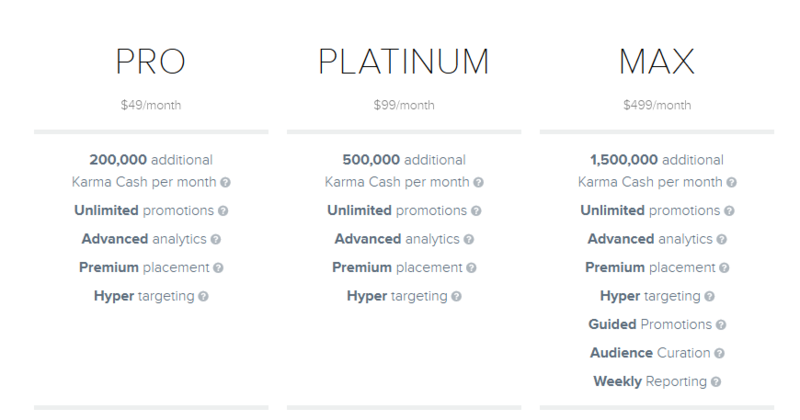 Going PRO for $49 a month gives you unlimited promotions and additional $200,000 Karma Cash per month, which certainly extends the usage of the app. Additional features and plans are shown in the image below from CoPromote’s pricing page. Overall, the idea of this app is great. There is tons of great content out there that just hasn’t been discovered, and tools like this have assisted in its promotion. Unfortunately, as a new app, there are a few things that you should be aware of. Fully expect to see some spammy accounts gaming the system. Affiliate links and diet pill promotions aren’t hard to come by as there is no manual review for user’s promotions. 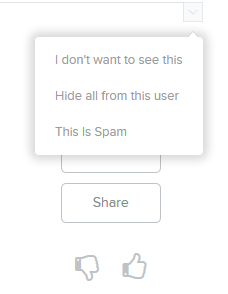 There is a spam reporting option, but you can still expect to see a bit of junk in your list of promotions to share. Content in certain categories can be somewhat watered down, which only magnifies the amount of spam coming through. Depending on what categories you pick, finding a decent piece of content to promote can be somewhat difficult. However, the more users the app attains, the more genuine content you can expect to see. The app itself has started fairly recently, so I fully expect to see issues like this addressed in the future. CoPromote has announced seed funding to the tune of $1.8 million as of last February, so we can definitely expect to see some changes that will benefit the app overall. In the end, automating your social media efforts can be tricky. 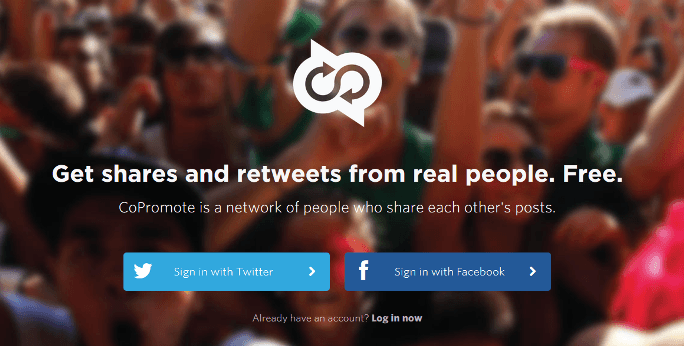 However, share and share alike is the name of the game, and CoPromote is doing its best at making this as easy as possible. 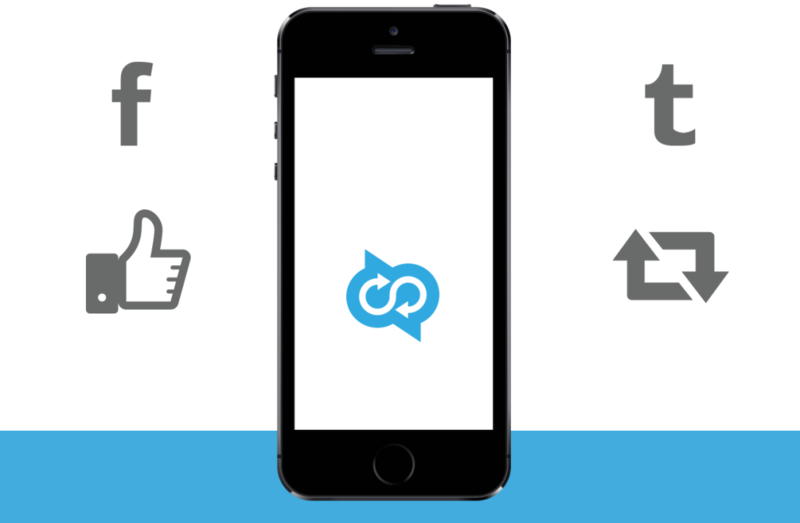 If you need a quick way to promote some of your content with more fans, don’t hesitate to give CoPromote a try! Want help promoting your business or brand all over social media? Be sure to check out our social media plans and shoot us an email. We would love to help! Dan is a marketer for WebFX who likes everything tech, marketing, and startups. Follow him on Twitter @ShafferDan.